What is Melanorm (Hydroquinone) used for? 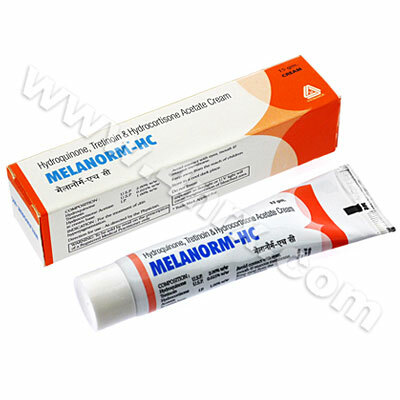 Melanorm (Hydroquinone) is a topical cream used to reduce the appearance of blemishes on the skin such as freckles, age spots, or dark spots caused by the use of birth control pills. The medication operates by preventing the formation of melanin in the skin which gives its brown color. Your physician may also recommend this medication to treat other unlisted conditions. How should I use Melanorm (Hydroquinone)? Melanorm (Hydroquinone) should always be used according to your physician's directions and those included with the packaging to get the most effective results from treatment. The cream is normally applied to the affected area once each day, but your particular directions will depend on the condition being treated and the severity of your symptoms. Rinse the area being treated before each application to remove any dirt or debris from its surface. Apply a thin layer of cream to the area, gently massage it into the skin, and allow any excess medication to evaporate. Thoroughly wash your hands with soap and water after each use to prevent any cream from contacting areas not being treated or the mucous membranes. What are the side effects of Melanorm (Hydroquinone)? Serious side effects that may require emergency medical attention are severe pain, nausea, vision problems, muscle pain, faintness, or signs of an allergic reaction such as severe skin rashes, swelling, or trouble breathing. Stop using the medicine and contact your physician as soon as possible if you experience any intense or worrying symptoms to make sure the correct adjustments are made to your application frequency to prevent more problems from occurring. 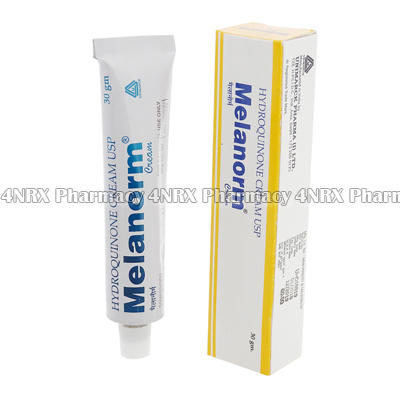 Do not apply Melanorm (Hydroquinone) to skin that is broken or severely damaged. Also inform your physician about any other chronic health conditions you have that may cause unexpected health problems during treatment to make sure any necessary alterations are made to your regimen. Strictly follow all instructions provided to you by your physician or pharmacist while using Melanorm (Hydroquinone). Optimum and safe dosage can differ based on the patient and the condition being treated.